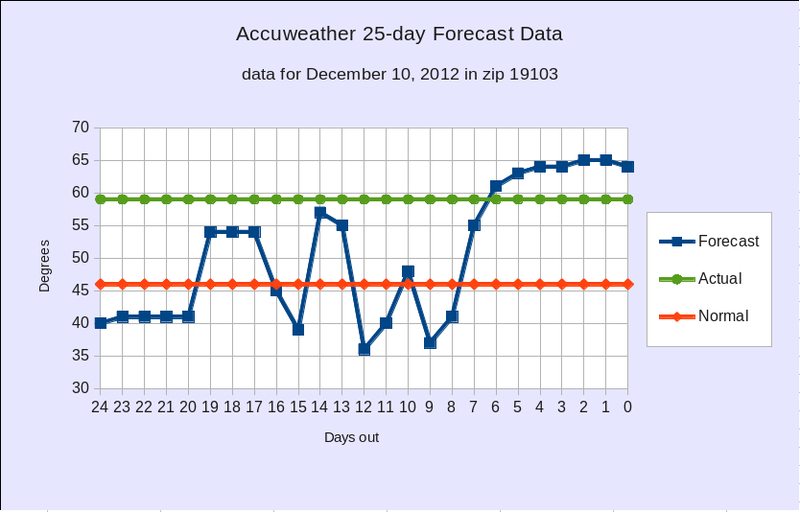 About 14 months ago, Accuweather extended its long-range forecasting to 25 days. Forecasters at the Washington Post’s Capital Weather Gang and at the independent Phillyweather.net both expressed significant skepticism that any forecast could be accurate at that distance. Tom from Phillyweather.net ran a small sample, confirming his impressions. Here’s a preview of a little something I’ve been working on: An analysis of Accuweather’s 25-day forecast for self-consistency and accuracy. Fair and safe elections are a huge passion of mine, and even though there’s much more information out there for the average voter than there was 4 or 8 years ago, I’m still going to continue my tradition of posting some information about voter rights before the election. Please share this post widely. A disclaimer: I live in Philadelphia, and my information comes from Philadelphia sources. I’ll do my best to distinguish between federal and PA information where applicable, but some local stuff might slip in where it doesn’t belong. Many people affiliated with the independent minyan scene, and/or organizations named Hadar, would find that they have a lot in common with the aims and ethos of the NHC and the members of that community. At heart, the Hadar world and the Havurah world share the critique of American Judaism’s reliance on institutions and the idea that Judaism is about living values, not supporting institutions per se. And many of the manifestations of that critique, in terms of the sorts of learning, discussions, prayer, and communities generated, are also shared between the two worlds. Many folks have noticed some sentiment over the years, among Hadar and/or independent minyan individuals who have not attended NHC events, that the NHC is not for them. That may well be true. However, that sentiment is often grounded in a misunderstanding of what the NHC is, and the goal of this FAQ is to attempt to correct that. Q: “Havurah”? Really? That still exists? Wasn’t the Havurah movement, like, in the 70s? A blog? That’s so 2006! So, a WordPress blog. Expect infrequent updates, as the urge to write stuff strikes.